Social media in no doubt is one of the best place to make your voice heard loudly, advertise your blog and most particularly get enough traffic. I want you to know that internet is a mystery that people are yet to unravel. If you want to be successful as a blogger or business merchant, you can’t do without social. And in fact, if you get heart hardened and you said you won’t have anything to do with social media, because I think we still have some people like me out there who love experiments. I did it one time and it’s kind of funny. I said am not going to share any of my post on any social media for the next one week, I successful did it, but it was a friend of my who later told me that Andrew, I love the article you wrote on “Title”, that I was so informative; I saw it on Facebook. I was shocked and smile because I never shared it on Facebook, but people that got it from goggle search shared it. All am trying to let you know is that, the world, internet, social media are intertwine. Social media have been in existence, even on before the creation of Facebook and thousands of stuffs are been shared with friends and folks. I want you to know that social media has also been occupied by internet marketers, as it has been found as a medium to promote and advertise their product and services (that’s why you see adverts on Facebook). Before it was all about SEO tactics, but now the order of the day is now the utilization of Social media to promote, advertise and make profit on online businesses. I asked a fellow blogger one day that why did you share your post on all the groups you belong to? Though he never gave a reasonable answer, but I knew the platform helps him and that’s why you see him posting every day. I heard one thing; probably you are not aware that some networking sites that has or falls under the Web 2.0 property are always useful in finding the right customers that can lead you to real sales. 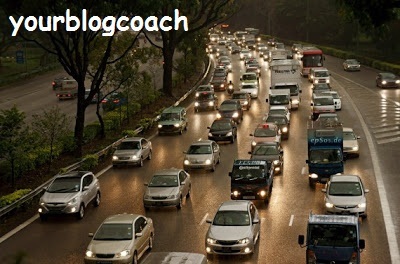 Though am quite sure that the traffic from those source mentioned above are enough for your blog, if you have already done the part of marketing i.e. make your blog a virus. Spread the news. But still don’t doubt, because there are some internet marketer who are SEO expertise, because they found true friend in search engines, as it has proven so effective in getting traffic. When we talk about SEO, for those that are real blogger, backlink should also strike your mind either. For quite some time, the word “backlink” has been a friend of search engine optimization, therein if we mention backlink, we must also mention SEO. 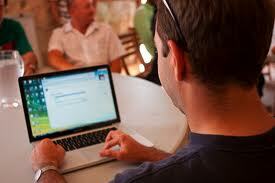 So since these methods are used to increase a website’s ranking, therefore what have we been doing to enhance it? 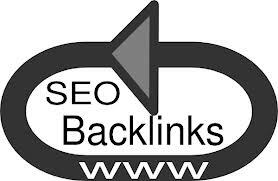 As much as we need SEO, there also backlink is very important. More so, internal links are also necessary, because there are still some newbies who never took the pain to internally link their recent post to the old ones which are similar but different in context within your site. And possible with the use of the right keywords, it can be done. There was a time when the issue of backlink was the other of the day. Everybody was run helter-skelter, just to get backlink. To the extent that those with fashion blog’s are trying hard as to get backlink from tech’s blog. What a funny time then. Backlink is a very key tool for blogger’s blog and search engine optimization, from the initial point we made you understand that there is no how you’ll mention SEO and not talk about backlink. They work hand in hand. But for sure, it is not very easy to create; in fact bloggers are still trying to get the logic because it’s hard to break. Many pro bloggers and internet market failed so many times in this aspect because they applied an improper proven ways of backlinking. Nevertheless, blog commenting and guest post are still topping the chart for the effective way of getting backlink, but it takes a lot of time, persistence and hard work. And I guess looking at the two methods mentioned above, it could only workout when your articles are interactive and interesting with high quality which in turn makes people to comment on it and leaving their link . Therefore, let us endeavor to write good and high quality materials for people to keep visiting. 4. Google’s Algorithm, What about it? Well enough you and I have heard about Algorithm, unless you are new to blogging. 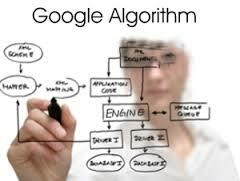 Algorithm is also one of the things that affect the traffic and raking of a site, even the good ones do get affected. This algorithm is a mathematical instruction used by Google to complete an assigned task. Therefore, it’s the Google algorithm that helps when you search web pages that has the keywords you used to search. Then it assigned the rank to each web page based on several factors which only they can explain, and so also how many times the keyword appears on the web page. Now you see the reason why you should learn more about keywords for each months or year. By the time a word is been searched, the higher ranked pages appeared further in the Google‘s search engine result page which is normal called SERP by some. 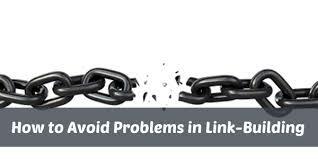 The process stated above mean that the best links related to your search query is the first one Google has to list. And important thing to learn here is to use sites with high PR for back linking, not just any sites. One more thing, if your backlink is badly built or unnaturally done, dirty jobs in life backfire so also crooked way of getting backlink. How much traffic you get from SEO and social Medias these days are not just by mere coincidence, but by getting connected. We can’t only rely on search engine traffic thou, as It were some few years back. But thanks to social media who are lately ruling the world. You can always get high quality traffic through social media networks, by getting site visitors from the likes of Facebook and twitter. Sometimes I heard about some bookmarking sites who help to get natural traffic, all you have to do is share on daily basis with them, tweet their posts and they’ll get back at you by making people to visit your site.